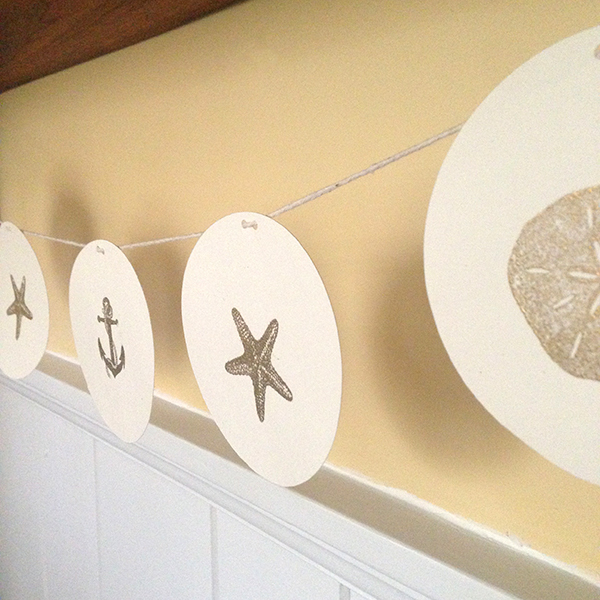 I needed a summer garland so I decided to make one. 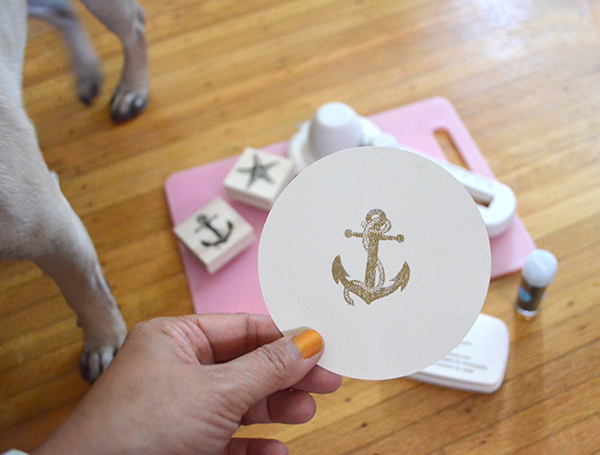 Aaron just got me some nautical rubber stamps and an embosssing kit so I started with those. I cut out simple card circles with my circle cutter and embossed a different shape onto each card before running a string through punched out holes. PS - I just spent way too long trying to photoshop a smudge off this picture which turned out to be on my screen. 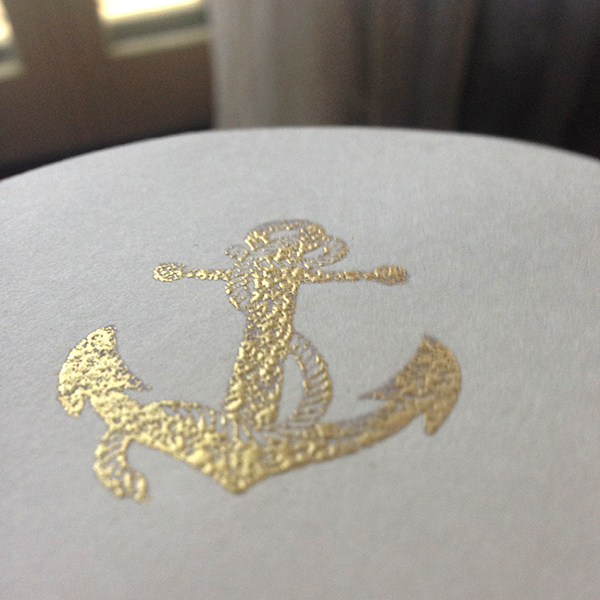 How have I not discovered embossing before this?! It works like magic. Stamp paper with a special ink, sprinkle on colored powder, tap off the excess, then heat the glitter with the embosser tool. I used gold powder on the cards. Look how it puffs up! Amazing! EMBOSS EVERYTHING! 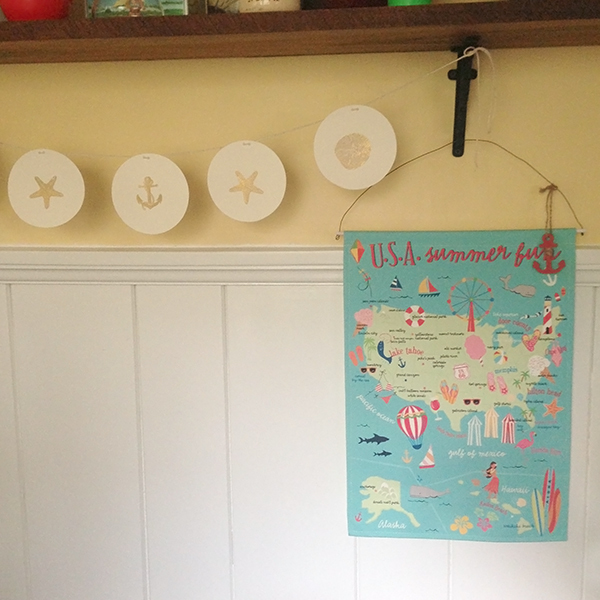 This handmade beach garland is just the thing keep to keep that summer feeling going.